BUGS SANTA Cookie Jar a Warner Brothers - Looney Tunes Character. Marked: TM & © copyrighted 1993 Warner Bros, Inc. Certified International Corp. Taiwan. Manufactured in the mid 1990's. From a private collection this jar is in MINT CONDITION, never taken out of the original box. 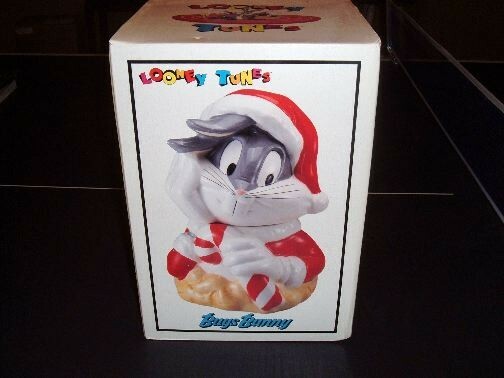 (box included) This jar is one of dozens on the stores inventory which include all of the Looney Tunes Characters.